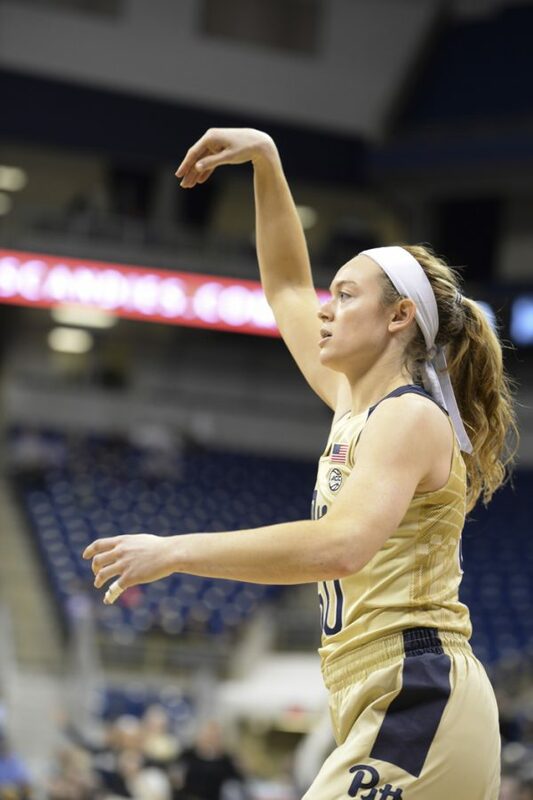 Just days after the Pitt men’s basketball team had its third player leave since the end of the season, the women’s basketball team’s star player is heading out the door. School officials announced Friday that sophomore forward Brenna Wise will pursue a transfer from the program. While the men’s basketball team lost out on mostly inexperienced bench players, losing Wise is a crippling blow to the women’s basketball team’s future outlook. Wise, a 6-foot forward out of Vincentian Academy, was the Panthers’ leading scorer and rebounder in each of her two seasons with the team. She averaged 10.7 points and 7.6 rebounds per game as a true freshman in 2015-16, making it onto the All-ACC Freshman Team. The Pittsburgh native raised her scoring average to 14.3 points per game as a sophomore, while her rebounding average dipped to 6.4 points per game — still enough to lead the team. The two best performances of Wise’s college career came in the 2016-17 season. First, she set a career high with 26 points while shooting a perfect 11-of-11 from the free throw line in Pitt’s 62-54 win over Virginia Jan. 22. Wise then topped that performance with 31 points on a team-record 13-for-13 performance from the line in the Panthers’ 72-64 win over Virginia Tech Feb. 16. Wise earned All-ACC Academic honors in both of her seasons at Pitt, and started all 61 games during her time with the Panthers.